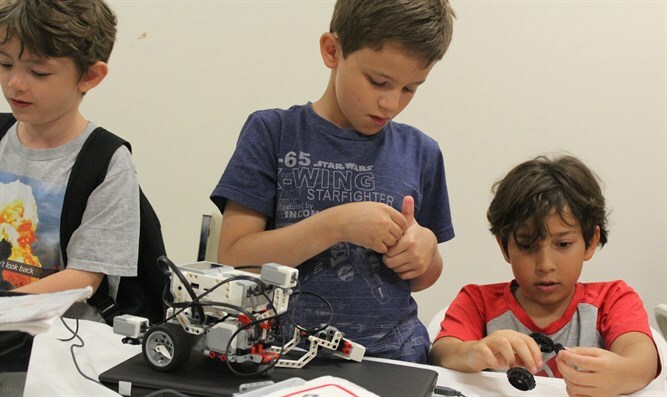 Innovative summer camp 'brings the Israeli technology spirit to kids,' one mother says. Sam Rosen, a 10-year-old Minecraft player, builds virtual castles at his computer and protects himself from monsters. His mother, Carrie, a high school math teacher, knows the game teaches tech skills and engineering - valuable skills he can build on in school. The new specialty camp, offering different tech workshops for second- to ninth-graders, is one of the first North American partnerships for “Big Idea in Israel.” Big Idea, a 10-year-old tech sleepaway camp located on the outskirts of Zikhron Ya'akov, is where 1,000 elementary to high school-aged children from around the world get a taste of Israel’s culture of innovation every summer. It also runs travel trips and a gap year program. The US camps offer two-week workshops in 3-D modeling, coding and computer programming, web design, DJ mixing, digital photography, robotics, jewelry design, graphic design, video production, animation and virtual reality. Campers can enroll in one or more for multiple sessions. No experience with the technology is necessary.